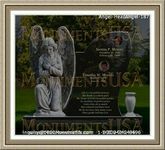 Burial arrangements are normally made by close family members and friends of the deceased person. It is essential that you work out how much money you can afford for the burial arrangements, as there are many expenses to be covered. If you don't have a lot of money to spend, there are a few measures you can take to help you keep funeral costs as low as possible. Decide whether you want to make the burial arrangements on your own or you would rather hire a funeral director. Making your own arrangements would be much cheaper. If you would rather outsource the work to someone else, shop around and find the most affordable options. Also, instead of paying for a whole package deal, only pay for services that you need. If the cost of a burial is too high for you, have the body cremated. All you will need to pay for are the cost of a cheap coffin and the crematorium fees. 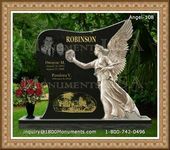 This will eliminate the need for a memorial service and the expenses that go with it. Shop around and look for affordable caskets. Request to view low cost models. Caskets are usually one of the most expensive items in a burial. Lower priced models are usually made from soft wood. The other option is not to buy a casket but to use a shroud instead. Minimize the usage of vehicles and flowers. You do not need to hire expensive cars to transport the body and mourners. If you have your own vehicle, consider using it as a hearse. You can organize to have a few wreaths as flowers can be expensive. Ask guests to make financial donations instead of buying flowers. Hiring a venue and an officiant for the memorial service can be expensive. Ask family and friends if they can provide a free venue where the ceremony can be held. Find an officiant who is not charging a lot of money for their services. To further lower funeral costs, have family members and friends act as pall bearers and also dig the grave.